Request your booking via the Availability web page. No.2 Ivy Cottage, Cornwall was stone built during the 17th Century and sits in the tranquil, picturesque and unspoilt village of Crantock. With it's own private garden, garage and driveway, there are two seated patio areas where our guests enjoy sultry summer evenings with a meal and a glass of wine, reflecting upon the day's activities. No.2 Ivy Cottage is located in a prime position for visitors of all ages and interests. We are open all year and are happy to offer short breaks during winter and spring seasons; ideal for walkers and those who love the crisp, bracing sea air catpured by walking along the beautiful coastal walks. Crantock village has many thatched cottages, typical of the area and which are nestled around the famous Old Albion Inn and The Cornishman public house. Across the lane is the 12th Century site of St. Carantoc Church, behind which still lie the old village stocks. Crantock also has a village store and Post Office together with the Cosy Nook Tea Rooms and Restaurant. 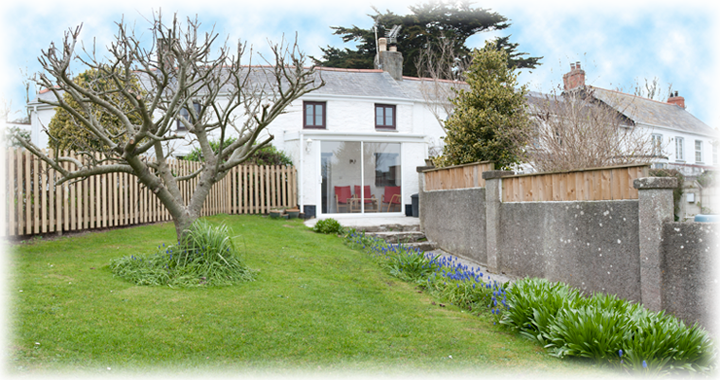 No.2 Ivy Cottage is perfectly placed in the heart of Crantock village, an ideal holiday resort for all. Just a few minutes walk to the stunning, unspoilt Crantock beach and surrounding headlands, much of which is National Trust protected, we are proud to welcome our guests to our Crantock Cottage. Take a short walk from No.2 Ivy Cottage along Beach Road, where the beach can be accessed via the Crantock Beach National Trust car park. Close to Crantock Village is Porth Joke (or 'Polly Joke'), Rushy Green, (over which spreads a view to Goose Rock, itself preceded by The Gannel at the foot of East Pentire from Crantock Beach), Cubert Village, Kelsey Head and Pusey's Hole. The Bowgie Inn sits prominent on West Pentire headland, overlooking the Atlantic Ocean and down onto Crantock Beach. This location offers a wonderful experience for all lovers of nature, wildlife and plays home to some of the world's most spectacular views. Neighbouring town, Newquay is said to be the surfing capital of Britain. Fistral beach is perhaps the most popular and is recognised for its national and international surfing competitions, drawing thousands of people to the town each year. Newquay, Cornwall which established itself as a holiday resort in Victorian times, is still an immensly popular Cornish resort. It has an array of high-street shops including Sainsburys and Morrisons stores, pubs and clubs, golf courses, tropical gardens, a boating lake, horse-riding stables, Newquay Zoo. The Fern Pit Café, Riverside Crescent on East Pentire headland.